Heat large skillet over medium heat. Add 2 tbsp of olive oil and let it warm up. Saute sausage till browned evenly on both sides. Remove sausage from pan. With a paper towel, sop up approx 3/4 of the sausage greese. 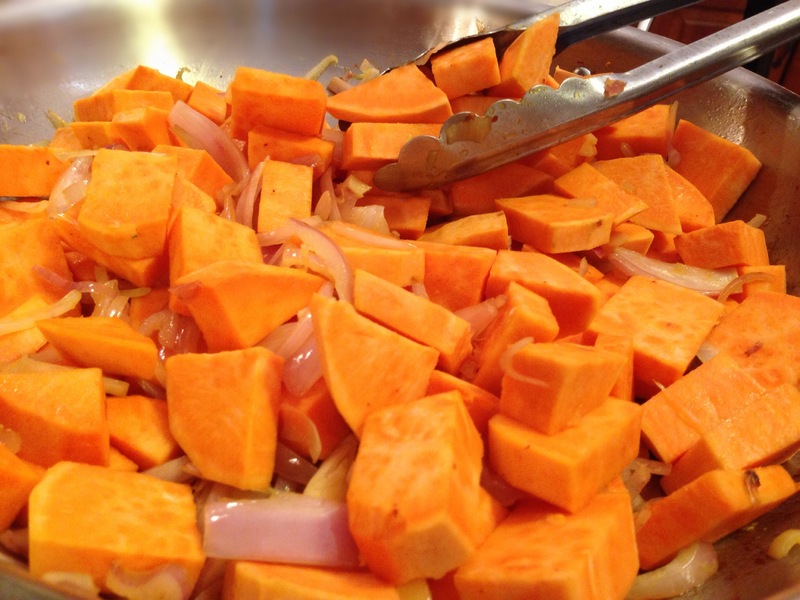 Leave some in for added flavor cooking your veggies and sweet potatoes ;). Add shallots to hot pan with grease. Saute for 5-10 minutes. 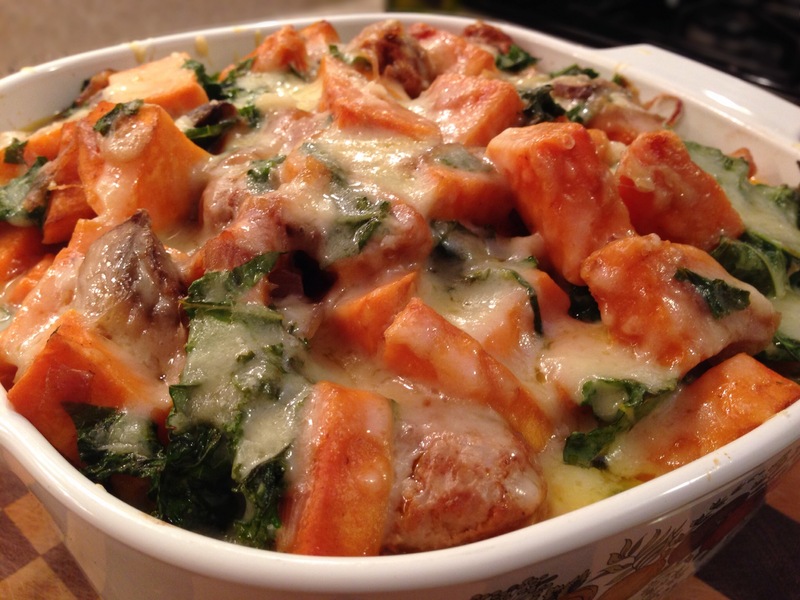 Add in sweet potatoes and cook for approx 10 minutes. Slight browning on each side. Add mushrooms. Stir to mix. 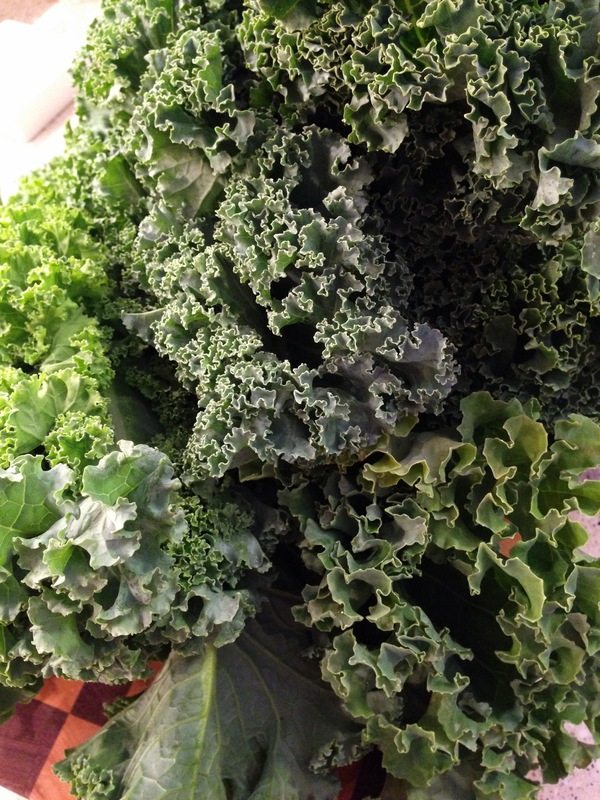 Toss in kale. Cook for an additional 2-3 minutes and remove from heat. Preheat oven to 350 degrees. Meanwhile, make your cheese sauce. In a medium saucepan bring 2 cups of chicken broth and 1/2 cup of milk to a boil. Reduce to simmer. 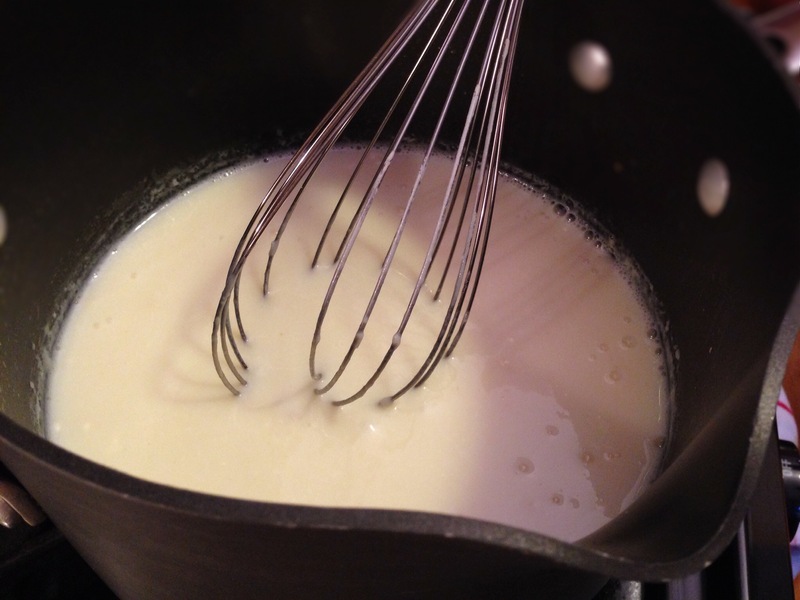 Create a slurry (whisk together) flour and remaining 1/4 cup of milk until smooth. Add creamy paste to sauce pan with chicken broth. Con't to whisk. Add 1/4 cup Gruyere to the mix and con't to whisk until melted. We cooked our sauce for approx 10 minutes and turned the heat down to low to try to thicken it up a bit. 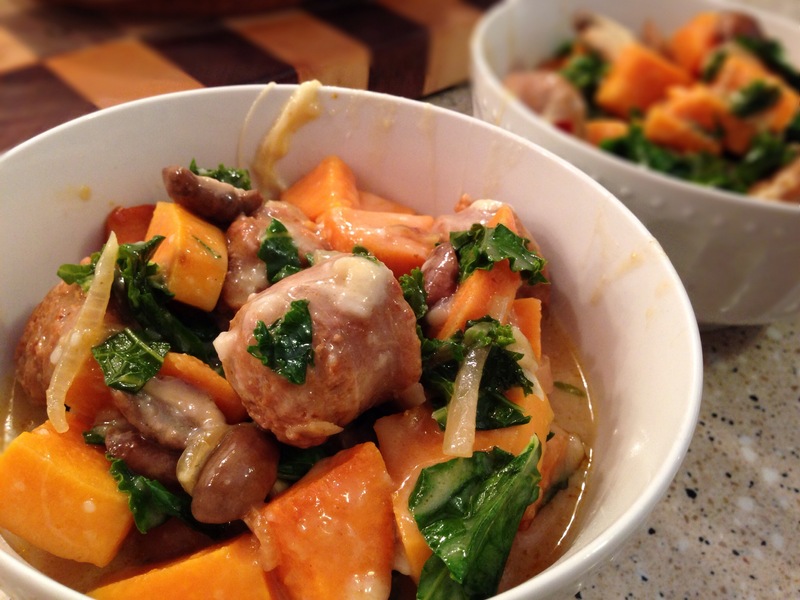 Transfer kale and sausage mixture into a greased 9x9 pan. Pour cheese sauce over mixture. Top with remaining 1/2 cup of gruyere cheese. Bake uncovered for 10-15 minutes or until cheese is bubbly and delicious. Turn the broiler on the last 2-3 minutes if you like your cheese to brown slightly. Meanwhile, make your cheese sauce. In a medium saucepan bring 2 cups of chicken broth and 1/2 cup of milk to a boil. Reduce to simmer. Create a slurry (whisk together) flour and remaining 1/4 cup of milk until smooth. Add creamy paste to sauce pan with chicken broth. Con’t to whisk. Add 1/4 cup Gruyere to the mix and con’t to whisk until melted. We cooked our sauce for approx 10 minutes and turned the heat down to low to try to thicken it up a bit. 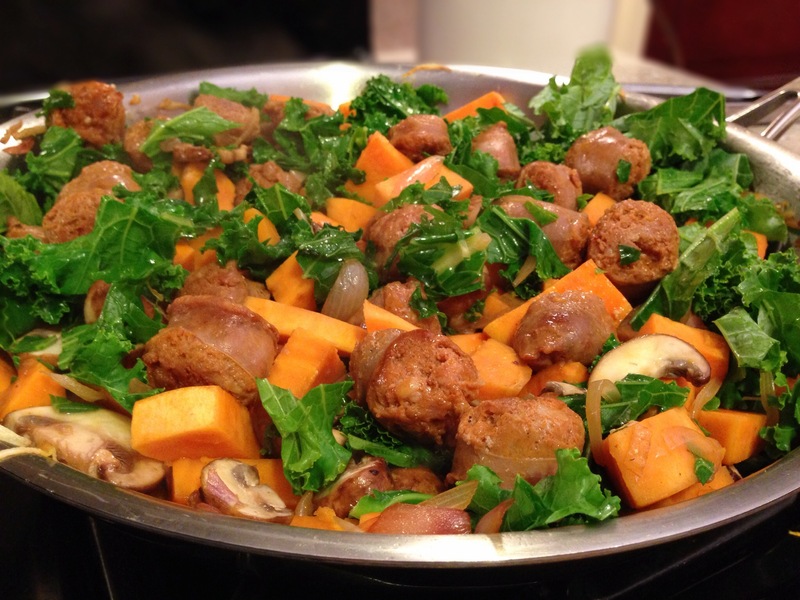 Transfer kale and sausage mixture into a greased 9×9 pan. Pour cheese sauce over mixture. Top with remaining 1/2 cup of gruyere cheese. Bake uncovered for 10-15 minutes or until cheese is bubbly and delicious. 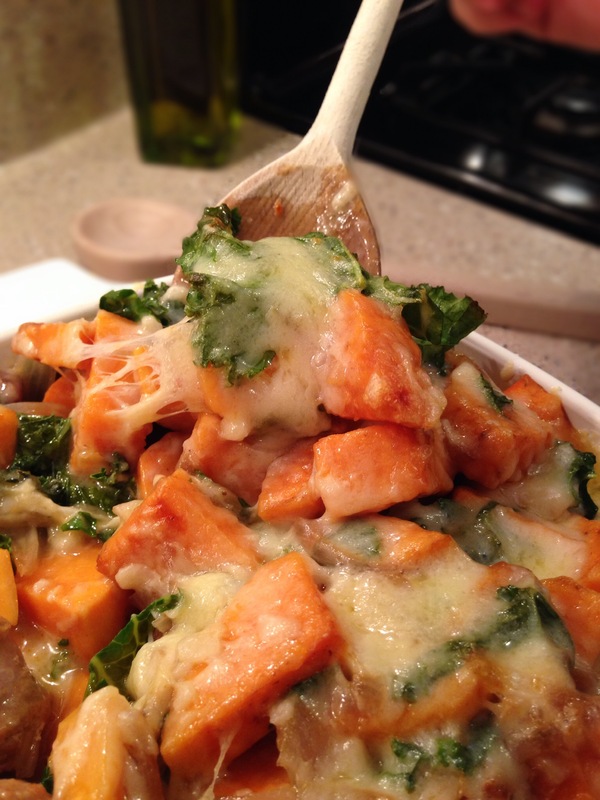 Turn the broiler on the last 2-3 minutes if you like your cheese to brown slightly. As you all know I’m a huge Huge HUGE fan of anything with cheese in it, around it, ontop of it, oozing out of it or just plain on its own. The creamier, the stinkier, the meltier the better! 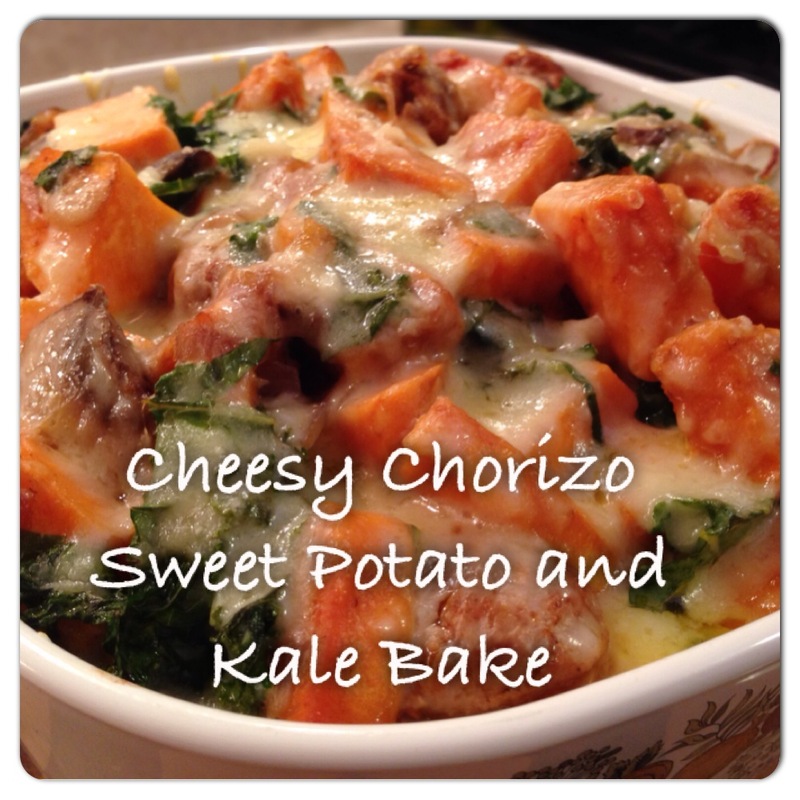 I came across this recipe on Pinterest a couple weeks ago and thought, yes this is the perfect combination of healthy ingredients + CHEESE! I said to myself, I’ll pin it and make it this fall when its cooler out. I just couldn’t wait and I decided to make it on a 90 degree day in Boston this week. I think our kitchen reached 150 degrees with 120% humidity. Well, it was worth it in our opinions. I made a couple tweeks and we thought it was quite delicious. Next time I might halve the sauce that gets put into the dish prior to baking. Enjoy! 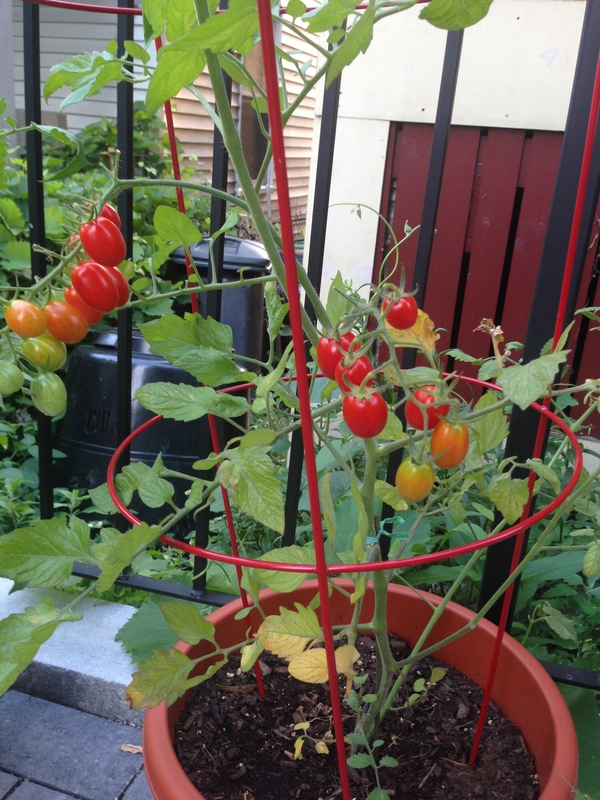 Tomatoes are thriving, especially of the grape variety. We are pretty stoked about this! 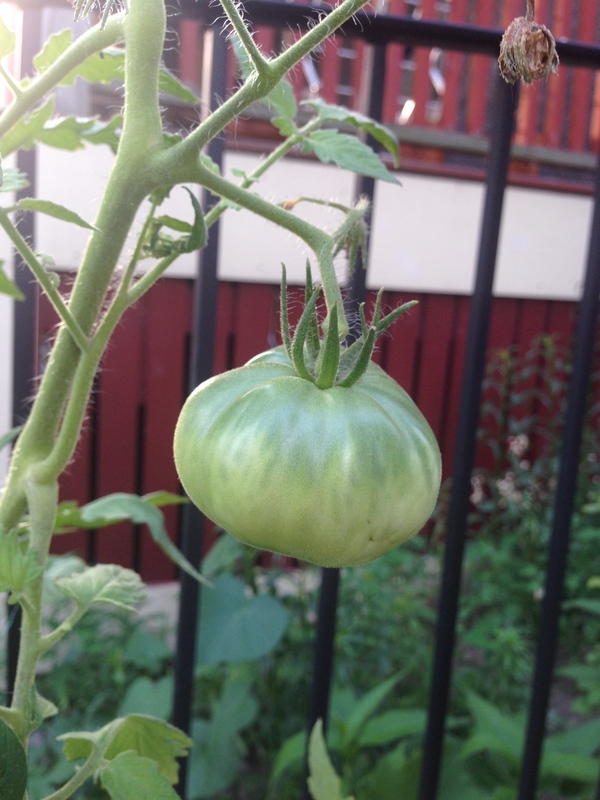 We have 2 larger tomatoes on their way in as well. 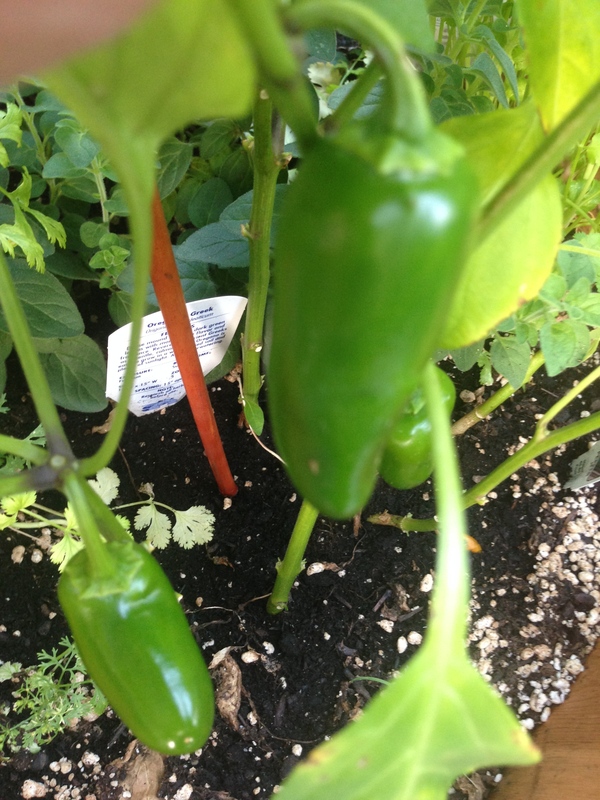 But the thing Mike and I are most excited is that the Jalapeno’s are actually growing! They are growing and surving in New England! Who would have thought? 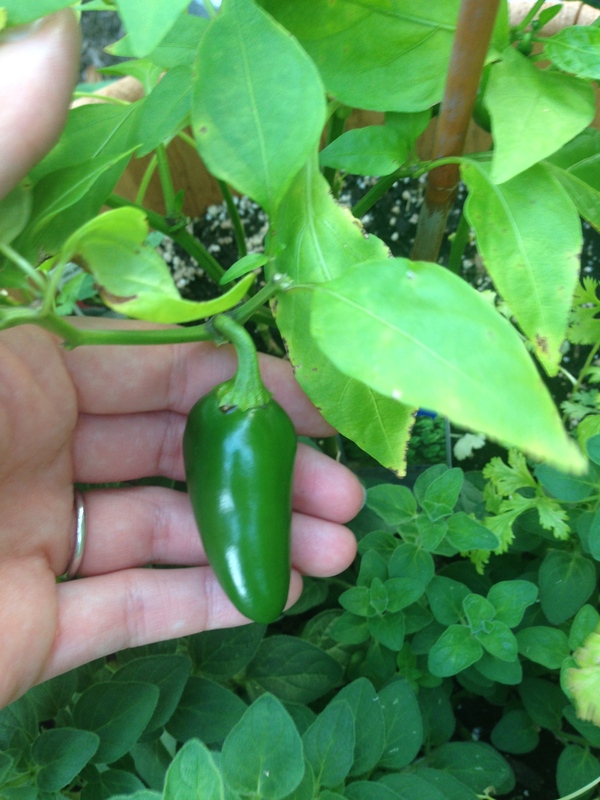 We have about 6 or 7 jalapenos coming in right now. 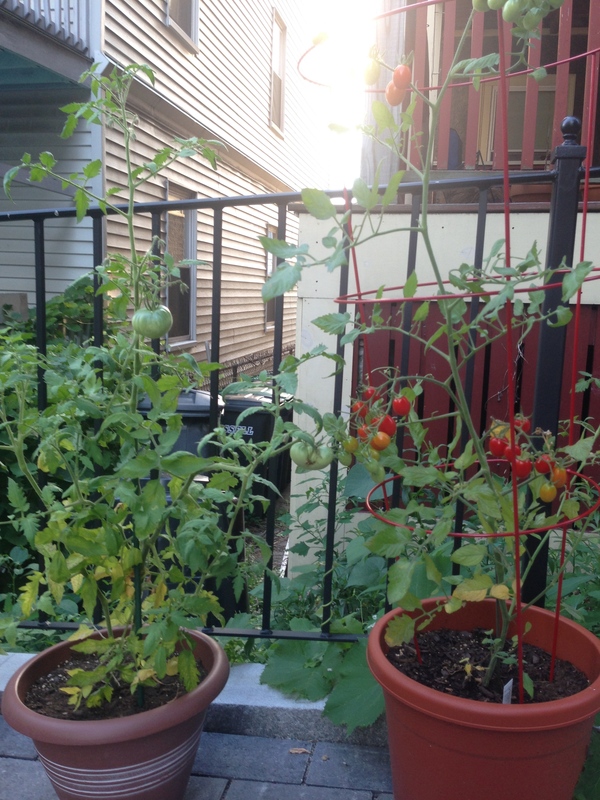 Bring on the tasty salsa and tacos 🙂 Basil is thriving as well. I plan on making some pesto and freezing it hopefully i the next week or so. On a sad note our cilantro was a one hit wonder. Once I gave it a haircut it never grew back the same. I also gave the dill a haircut and that was a mistake. I later youtube’d a video on how to harvest dill and found out I did it all wrong. Well, you live and you learn. The oregano and the rosemary are still looking great though. 2)Heat large skillet over medium heat. Add 2 tbsp of olive oil and let it warm up. Saute sausage till browned evenly on both sides. Remove sausage from pan. 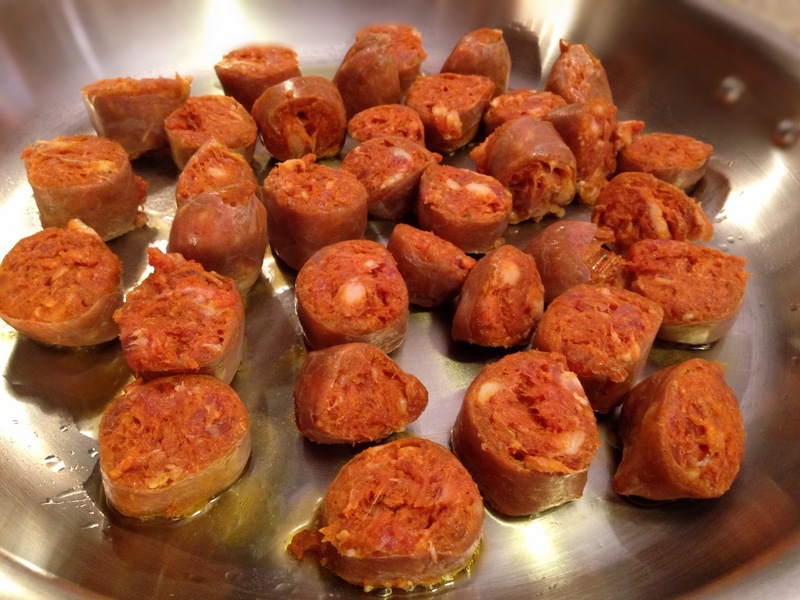 With a paper towel, sop up approx 3/4 of the sausage greese. 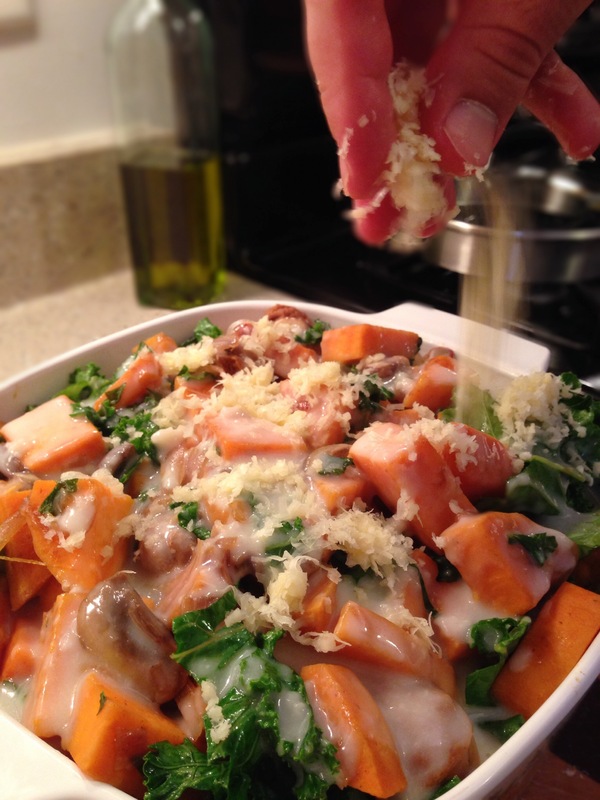 Leave some in for added flavor cooking your veggies and sweet potatoes ;). 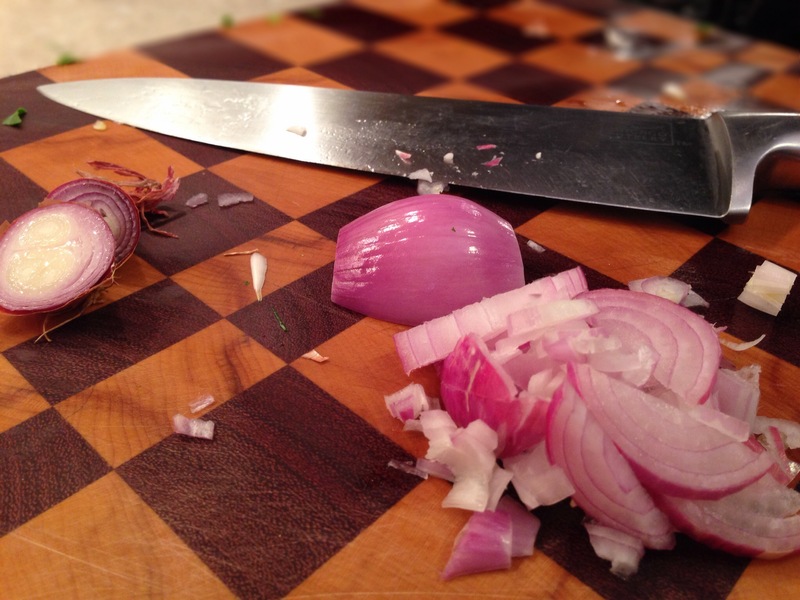 3)Add shallots to hot pan with grease. Saute for 5-10 minutes. 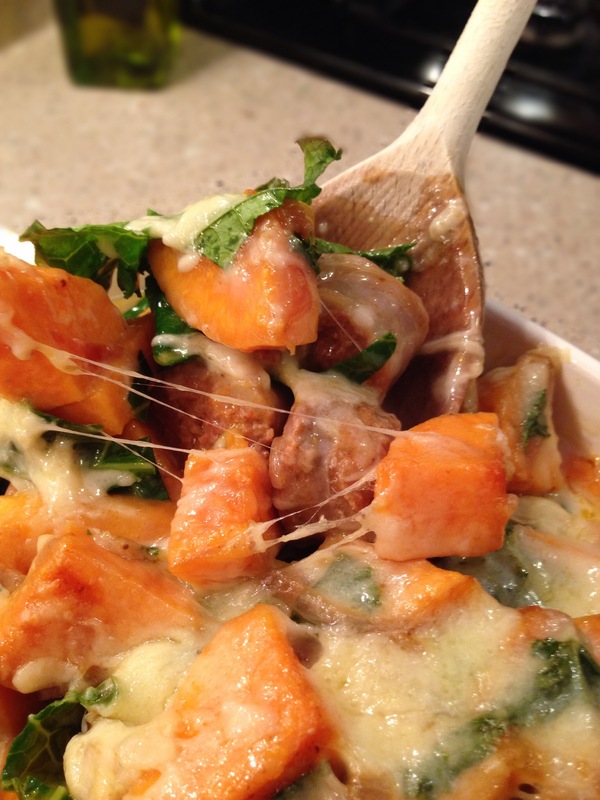 Add in sweet potatoes and cook for approx 10 minutes. Slight browning on each side. Add mushrooms. Stir to mix. 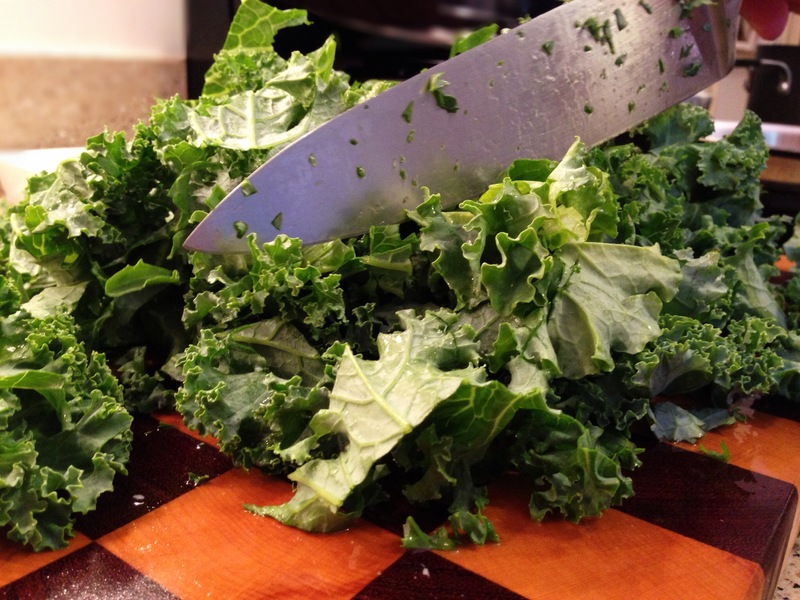 Toss in kale. Cook for an additional 2-3 minutes and remove from heat. Preheat oven to 350 degrees. 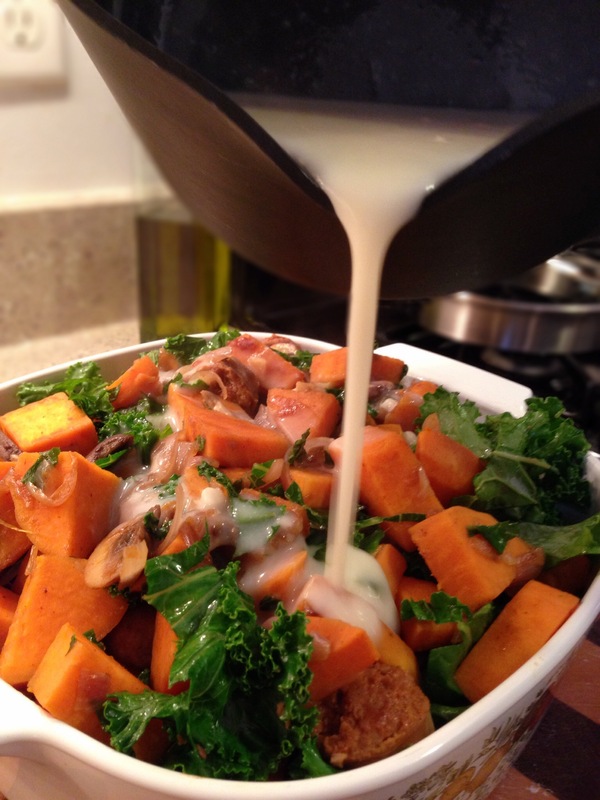 4)Meanwhile, make your cheese sauce. In a medium saucepan bring 2 cups of chicken broth and 1/2 cup of milk to a boil. Reduce to simmer. 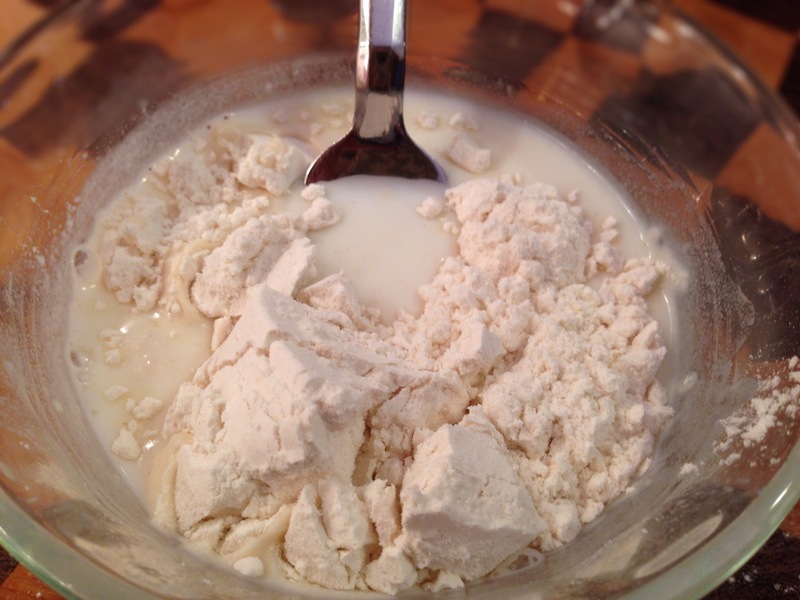 Create a slurry (whisk together) flour and remaining 1/4 cup of milk until smooth. Add creamy paste to sauce pan with chicken broth. Con’t to whisk. Add 1/4 cup Gruyere to the mix and con’t to whisk until melted. We cooked our sauce for approx 10 minutes and turned the heat down to low to try to thicken it up a bit. 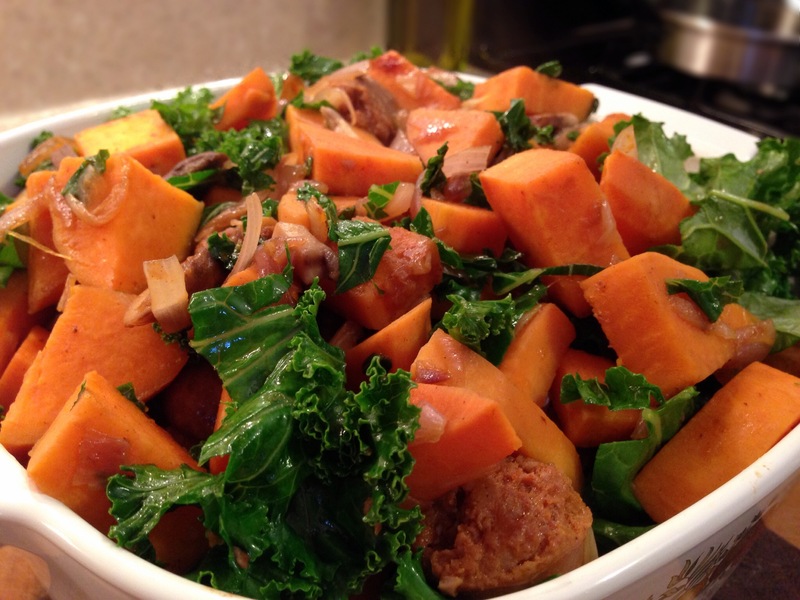 5)Transfer kale and sausage mixture into a greased 9×9 pan. Pour cheese sauce over mixture. Top with remaining 1/2 cup of gruyere cheese. 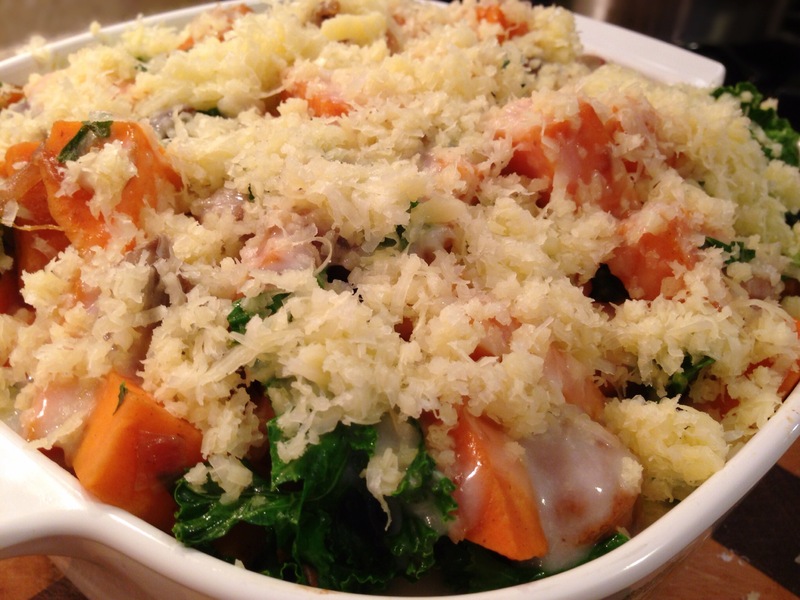 Bake uncovered for 10-15 minutes or until cheese is bubbly and delicious. Turn the broiler on the last 2-3 minutes if you like your cheese to brown slightly. * Like I said in the beginning, you may only need half your cheese sauce. We will try halving the sauce next time. 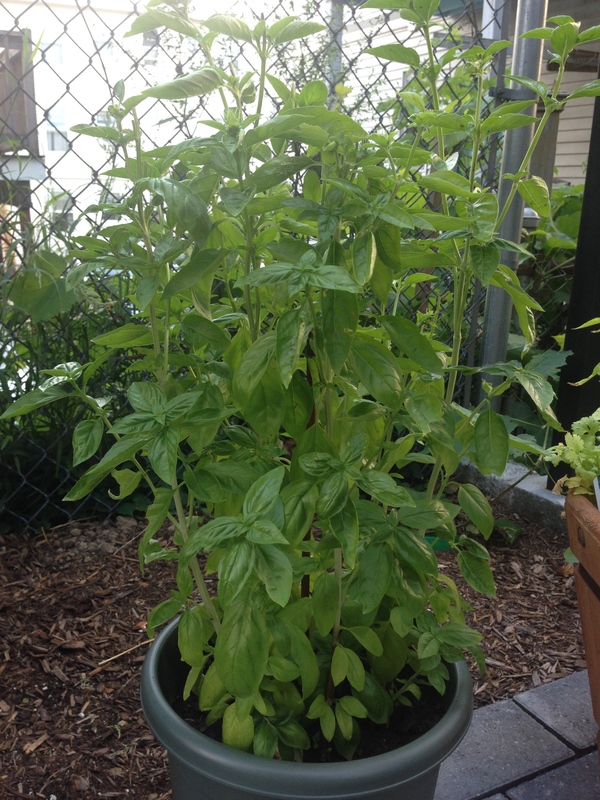 What have you been feeding that basil!? That plant is huge! 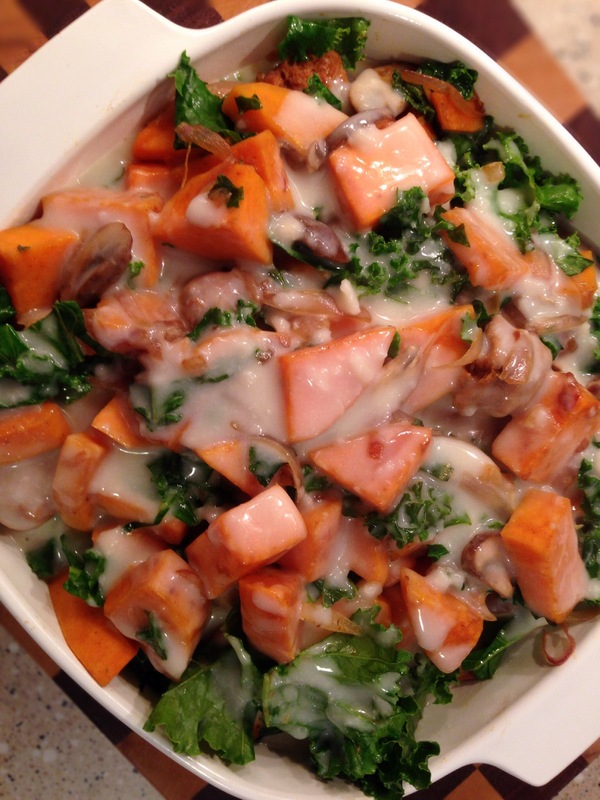 Also, recipe looks freak’n awesome as Adrienne suggested…so I’ve pinned it to my Pinterest nutrition board. 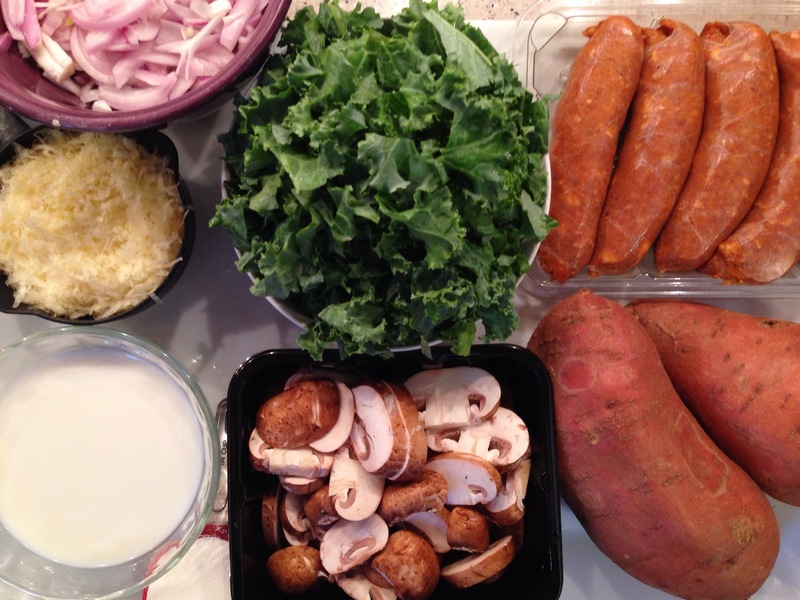 I’ve always had a hard time including Cale in my diet…so this recipe should help! Anyway, always happy to find fellow nerds and geeks blogging about fitness and nutrition. You’ve got a new reader! 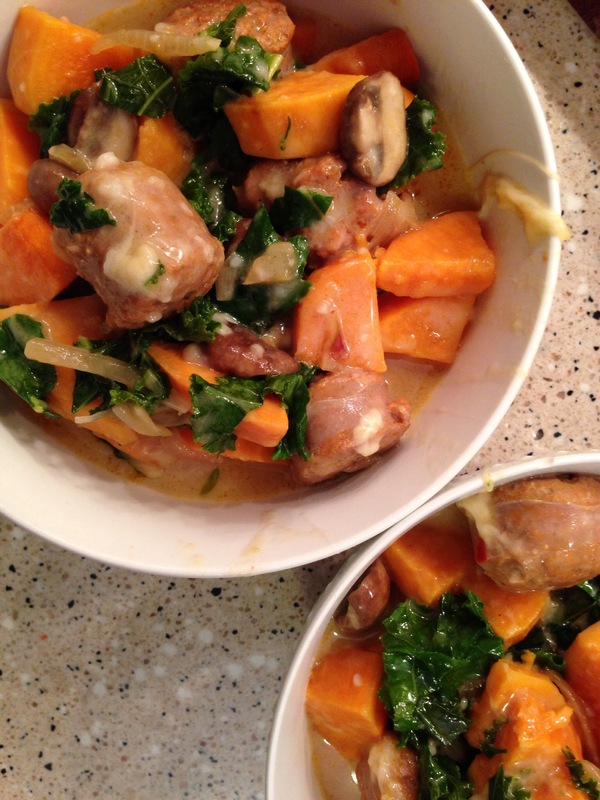 I made this recipe for my in-laws and little siblings for a nice home cooked meal after they got home from a long vacation- it was a HUGE hit!! My mother-in-law begged me for the recipe and the kids loved it. I doubled the recipe and they were hoping I had made more for leftovers… they were pretty disappointed to discover that after second helpings all around there wasn’t any left. VERY delicious!! Absolutely loved this dish. Thanks for sharing! !